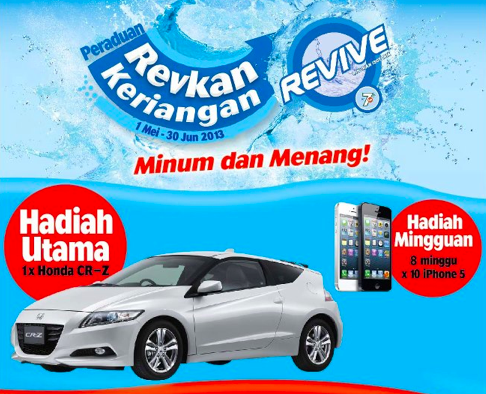 Home » car » purchase » qna » Peraduan Revkan Keriangan Minum Revive & Menang! Peraduan Revkan Keriangan Minum Revive & Menang! Submit your contest form with the proof of purchase (bottle's label or can's tab). Visit Revive Malaysia Facebook fan page for more details.